Sometimes in life – just sometimes – you can’t help but spend your money. A new restaurant has opened up downtown and everyone is raving about it. You’re at the races and get a tip about an underdog horse having a real outside chance. You stumble across a website so genius you want to spend your money as a way of saying thank you. There are a million times when spending your money has to be done. But spending your money and wasting it are two very different things. 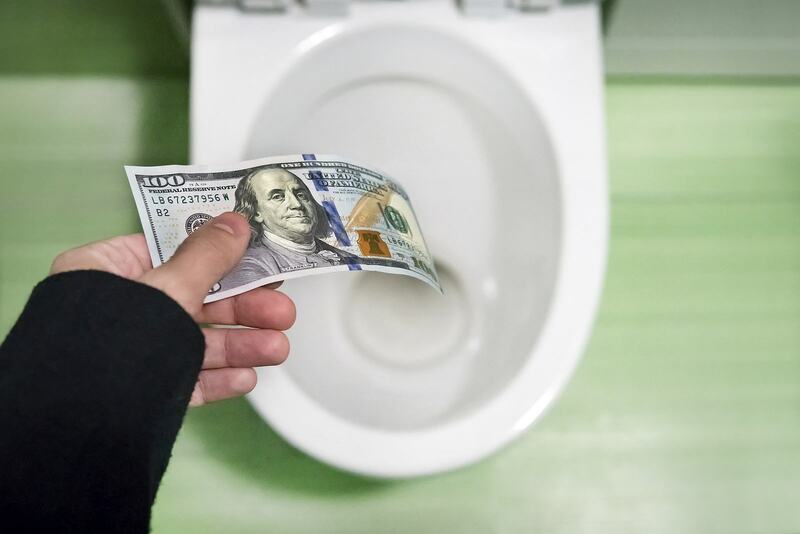 What’s worse, most of us don’t recognize when or how we are wasting our money, which is usually because your spending habits are so stuck in their ways. To help you out with this, we’ve pulled together a list of things you’re constantly wasting money on without even realizing it. Most people have cars these days, and most families have more than one, which is absolutely fine. But cars are expensive to run and even more expensive to fix when something goes wrong. Of course, you already knew this. But what you may not know is: you could save on maintenance costs by DIYing your repairs. Sure, some stuff is worth avoiding at all costs, but the other stuff can be done with just a socket-wrench and a YouTube tutorial. Money saved. If you want to save money, it usually makes sense to try and do something yourself. But there are a few exceptions to this rule: tax, law and home improvements. Get these wrong and you could end up wasting a lot of money. Our advice: get help from a tax attorney before and during your time in tax debt, hire a lawyer to make sure you stand a fair chance in court and hire an experienced contractor so you don’t knock down a weight-bearing wall by accident. It just makes sense. You know the one. It probably won’t be the same as everyone else’s, but you’ll be guilty of some sort of ‘every now and then’ purchase. It could be grabbing a handful of snacks from the gas station, it might be buying another game from the Apple store, or it could be an obsession with Amazon purchases. Whatever it is, and no matter how big or small, these little off the cuff purchases can very quickly start to add up. Don’t believe us, just go through your bank statements, highlight them all and then do the math. You’ll be gobsmacked. We know how convenient it is to tap your debit/credit card on the pay machine, but you’re living in a dream world of ignorant bliss because buying things on a card makes spending money way too easy. All you have to do is pull out your card, tap it on the reader and walk away with your shiny new bits. Our advice: take out your weekly spending budget in cash and watch how your liberal attitude to spending changes. When you hand over cash, you feel that connection and you start to realize what you are wasting money on.